Located in the family friendly residence Antares VERDE in Lignano Sabbiadoro. The family-friendly property is located in the tourist village Porto in the eponymous town of Porto, a very popular holiday destination for many families. about 120 square meters kitchen living room 2 Bathrooms 3 bedrooms Pool 4x9 m 300 sqm garden outdoor shower Outside toilet grill Cycles Library WLAN etc. The family-friendly property is located in the beautiful 4-star resort Pino Mare in Lignano Sabbiadoro. The holiday village adjacent to the sea, making it ideal for families. 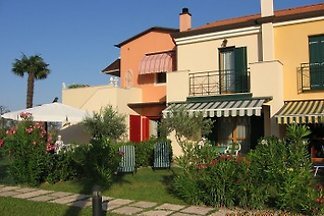 Located in the beautiful Villaggio Los Nidos Lignano Sabbiadoro, overlooking the sea and is therefore perfect for families with small children. Private holiday home with air conditioning for 4-5 people in a generous and new private investment (4,000 square meters) in a Mediterranean style with swimming pool, children's playground and soccer field. from 5 229 holiday homes & accommodations in Udine & Surroundings were rated with an average of 4.4 out of 5 stars ! Rent successfully your holiday flat or holiday home in Udine & Surroundings in only 20 minutes !